THURSDAY, Feb. 23, 2017 (HealthDay News) -- A common virus may make some women more susceptible to both heart disease and type 2 diabetes, a new study suggests. Scientists at the University of California, San Francisco found normal-weight women under age 50 who were infected with cytomegalovirus (CMV) were more likely to have metabolic syndrome than their peers. Metabolic syndrome is a collection of risk factors for heart disease and diabetes that includes excess belly fat, unhealthy cholesterol levels, high blood pressure and high blood sugar levels. CMV, a herpes virus, is believed to infect roughly half of the U.S. population over the age of 40. Typically there are no symptoms unless the person's immune system is weakened. Ironically, obese women infected with CMV were less likely to have metabolic syndrome than obese women not infected with the virus, the researchers found. However, obese women were still far more likely to have metabolic syndrome than their normal-weight peers. "The likelihood that women infected with CMV will have metabolic syndrome varies dramatically, depending on the presence, absence and severity of obesity," study first author Shannon Fleck-Derderian said in a university news release. She's with UCSF's department of pediatrics. Research has suggested that metabolic syndrome may be triggered by long-acting, low-intensity inflammation. The study authors pointed out that CMV infection has been linked with other inflammatory conditions, such as inflammatory bowel disease and blood vessel diseases. For the study, the researchers examined data on more than 2,500 individuals nationwide between the ages 20 and 49, from 1999 to 2004. Associations were compared between CMV and signs of metabolic syndrome in participants divided into one of four categories: normal weight, overweight, obese and extremely obese. After taking into account other contributing factors such as age, ethnicity and poverty, the researchers found that nearly 5 percent of normal-weight women infected with CMV had at least three risk factors for metabolic syndrome. 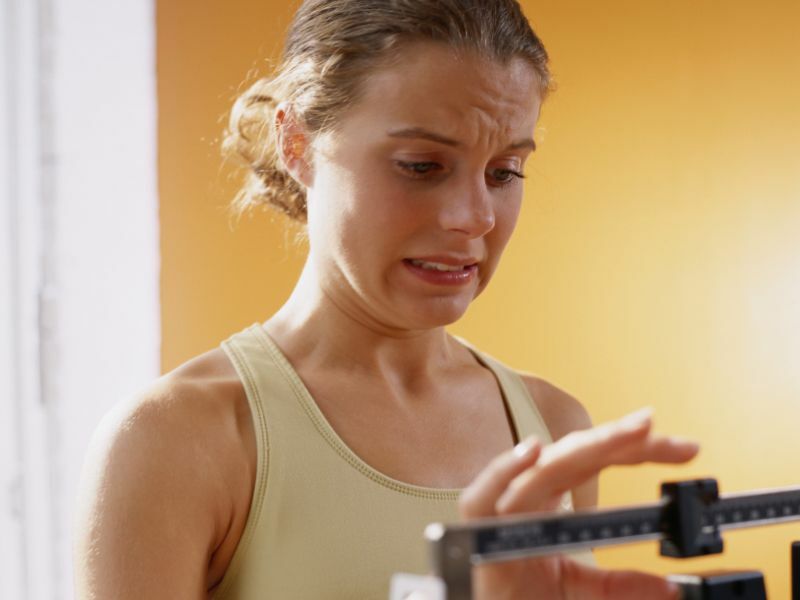 But, the same was true for less than 1 percent of normal-weight women who were not infected. More than 27 percent of women infected with CMV also had lower levels of HDL "good" cholesterol, compared to 19 percent of the normal-weight women who didn't have the virus. Curiously, 56 percent of the extremely obese women infected with CMV had three or more risk factors associated with metabolic syndrome. This compared to almost 83 percent of the extremely obese women who didn't have the virus. These very obese CMV-infected women also had higher levels of "good" HDL cholesterol and lower levels of triglycerides, a type of blood fat that increases the risk for heart disease. The researchers concluded that CMV might protect very obese women from metabolic syndrome. No such association was seen among the men in the study. Study senior author Janet Wojcicki is an associate professor of pediatrics and epidemiology at UCSF. "Women who have extreme obesity may be metabolically different from others, and CMV infection might confer some kind of protection for them against the harmful effects we generally associate with excess body fat," she said. More research is needed to understand these associations, the researchers said. And the study did not prove a cause-and-effect link. The findings were published Feb. 23 in the journal Obesity.